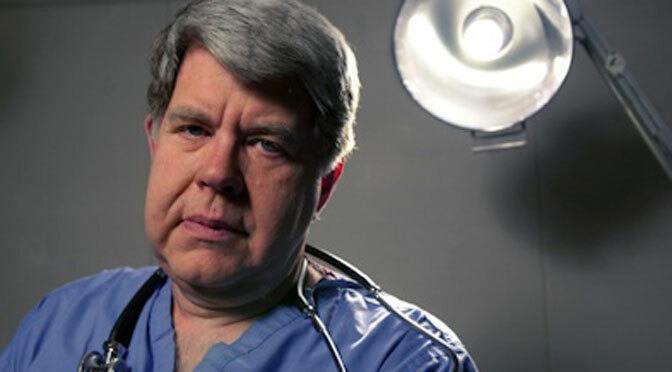 Abortionist LeRoy Carhart commits violent late-term abortions and has a disturbing history of health violations, gross negligence, injured patients, and cavalier statements that show what little regard he has for life. Carhart is now almost 77 years old, and in recent years, has botched numerous abortions, killing at least one patient and injuring at least 15 over the past five years alone. In 2016, He stopped all abortions at his Maryland abortion facility; less than a year later, the owner of the facility announced that he had sold the building to the Maryland Coalition for Life, forcing Carhart to close. Chelsea Souder, Carhart’s director of clinical services and communications director, said “it was a really dark time” for Carhart especially. “My whole team was disheartened at the lengths these extremists will go to in order to limit women’s ability to make their own decisions about their health and future,” Carhart wrote in an e-mail, adding that he was “heartbroken” for the women whose babies he would no longer be able to abort while his facility was closed. While Pearson acknowledges that the vast majority of Americans want late-term abortion to be illegal, she promotes the idea that these abortions are necessary. Carhart’s fellow late-term abortionist Susan Robinson says abortionists are shunned and stigmatized by other doctors. “Other doctors look down on you and think of you as like the lowest of the low.” Fewer and fewer doctors are willing to learn how to commit abortions, and medical students who do are often shunned. Carhart himself trained under the late George Tiller, who also was a late-term abortionist, and said that he plans to do the same thing. Newer research has suggested that preborn babies may feel pain as early as eight weeks. Carhart was featured in Live Action’s Inhuman investigation, in which he compared preborn babies to “meat in a slow cooker,” joked about his “abortion toolkit,” admitting that he commits abortions on healthy women and babies. He also blatantly lied about Jennifer Morbelli’s death, saying she died from pregnancy complications, when in fact, he was negligent in the situation. He also killed 19-year-old Christin Gilbert, a young woman with Down syndrome who had been sexually assaulted. Gilbert suffered for days at Carhart’s hands after he botched her abortion badly. There are complaints against Carhart dating as far back as 1991. He’s been accused of altering patient charts, falling asleep during a procedure, refusing to follow infection safety protocol, and talking on the phone during a procedure — even going outside in the middle of an abortion to throw rocks at the window. His facilities are said to be kept in disgusting condition, ad he has been found illegally dumping biohazardous waste, and set up his “emergency hotline” to go not to his cell phone, but to his wife’s horse business. His contempt for life isn’t even limited to human lives; the Humane Society removed four horses and two dogs from his property because he treated them so abysmally, with animals left in excrement a foot deep, and so malnourished you could see their bones through their skin.